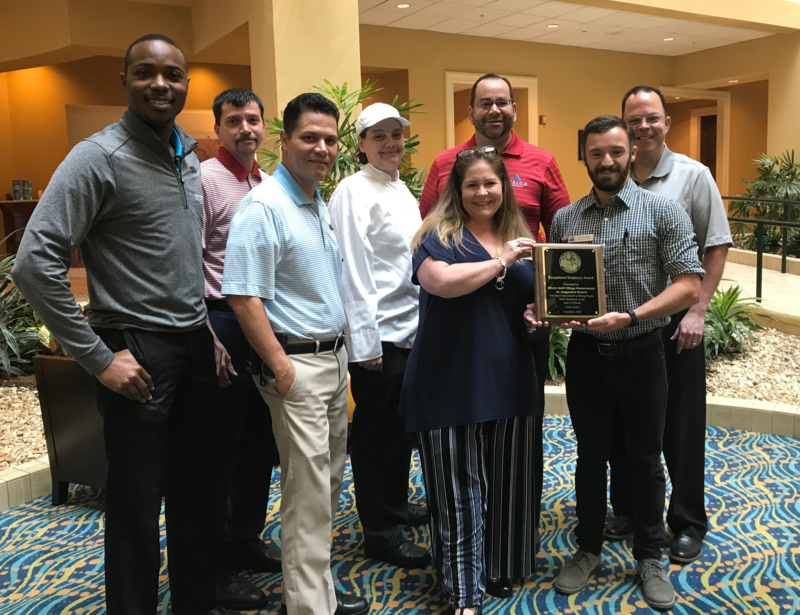 The World Golf Village Renaissance Resort, St. Augustine, home to the St. Johns County School District’s Project SEARCH site was honored as an exceptional employer for adults with disabilities by Florida Ability Works. 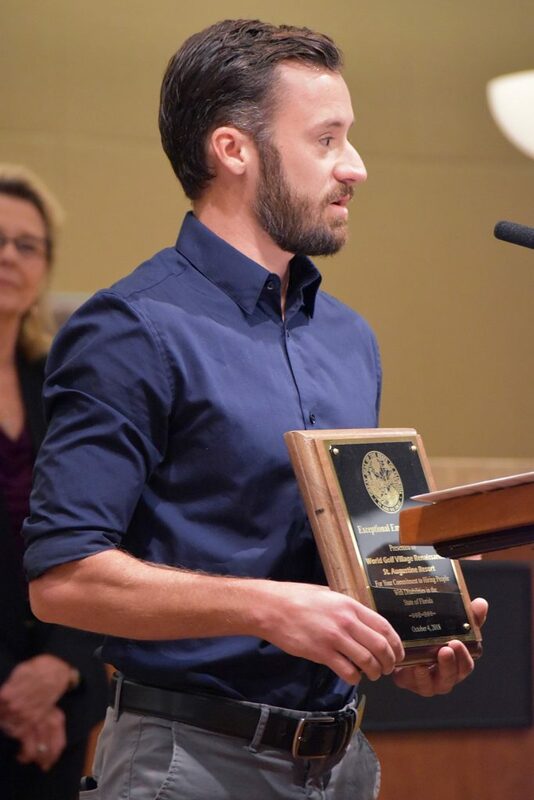 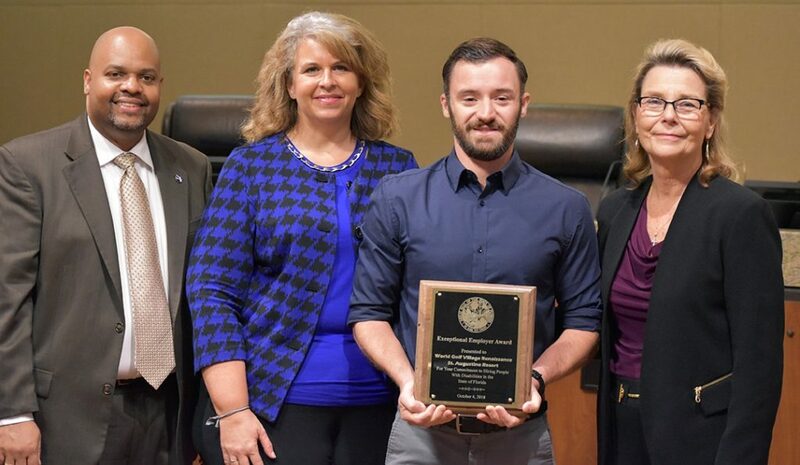 Byron Pennington, Project SEARCH instructor, represented the hotel and school district at the ceremony on October 4 in Tallahassee, which was hosted by the Agency for Persons with Disabilities, the Division of Vocational Rehabilitation, and the Division of Blind Services. 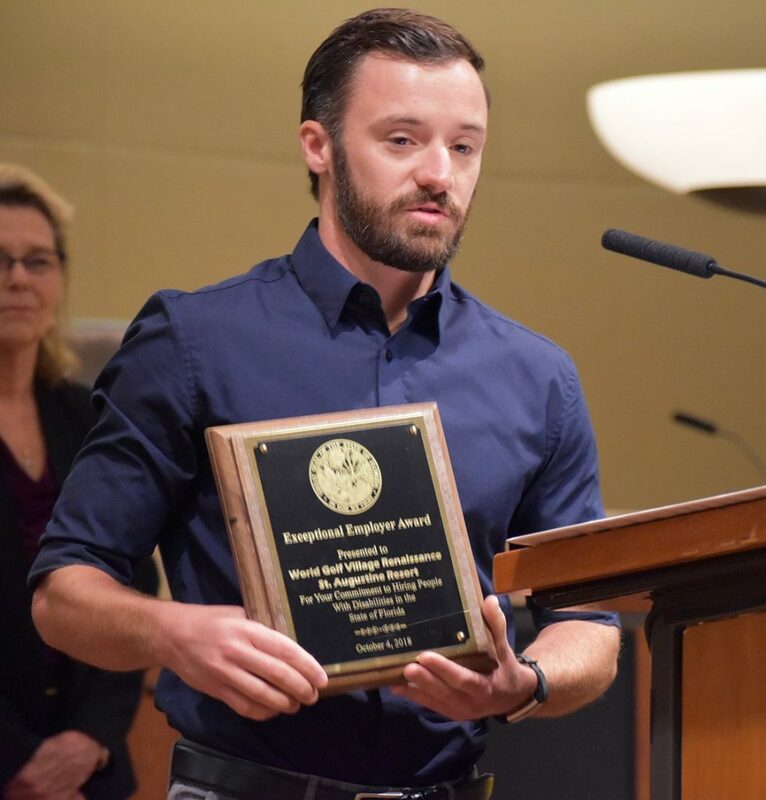 Florida was designated as an Employment First State with the intent to raise expectations that employment should be prioritized for individuals with disabilities and to change systems to better support integrated employment. The St. Johns County School District Project SEARCH site had a 100 percent employment rate with the nine student-interns at the end of their first year and are starting strong into year two with eight student interns who are already making great progress and assimilating nicely into the hotel environment.